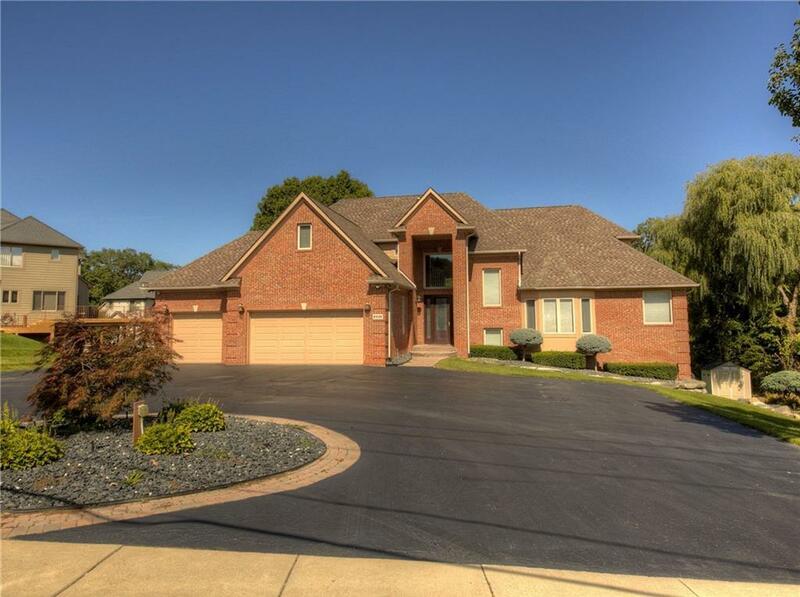 Custom Built Home w/ 1st Floor Master & Fin Walkout, Loaded w/ Fine Details & Amenities. Situated on Half Acre Lot Backing to Pond. 2-Story Foyer Opening to 2-Story Great Room w/ FP & Custom Crown Molding, and Bridge Overlooking. Gourmet Island Kitchen w/ Granite, Custom Cabinetry, Stainless Thermador Appls. Dining Room w/ Custom Ceiling, Butler's Pantry. Library w/ French Doors. 1st Floor Master w/ His & Her Walk-In Closets, Luxury Bath w/ Granite, Jacuzzi Tub & Shower. Upper Level Loft, Princess Suite w/ Bath, 3rd & 4th Bedrms w/ Jack & Jill Bath, Huge Bonus Room. All Baths w/ Granite. Fin Walkout w/ Heated Flrs, 2nd Kitchen w/ Quartz Counters, Rec Rm, Theater Rm, Exercise Rm (or Pos 5th Bedrm). Spa Bath w/ Steam Shower. Smart Home w/ Lutron Lighting & Sound System, Security System w/ Cameras. 3.5 Car Heated Garage w/ Epoxy Floors & Insulated Doors. Huge Deck & Lower Brick Paver, Patio w/ Hot Tub. Backyard w/ Fire Pit, Dock at Pond, Dog Walk. All M & D Approx. Some Exclusions Apply.